Weather continues be good, with overcast skies, flat seas, and a chill in the air. The crew spent the day cleaning the boat, while passengers just relaxed. Not much to report, out here, just enjoying the good weather. But we did have a surprise today, Eddie was trolling for Albacore (lol), little to our surprise, Eddie caught an short bill spearfish. On most occasions, we would let it go, but it was in bad shape once we got it to the boat. So Eddie is having shortbill for dinner. 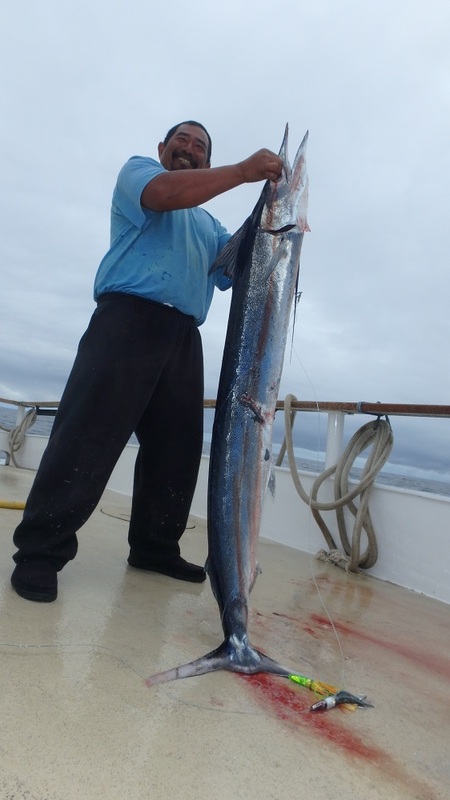 The final count for the trip, we ended up with 205 Wahoo, 130 Yellowfin, and a shortbill spearfish.